Cristiano Ronaldo produced yet another quality goal to add to his collection and help Juventus to a 1-1 draw at Ajax Amsterdam in the first leg of their Champions League quarter-final tie on Wednesday. Ajax wasn't rattled by a goal from Cristiano Ronaldo at the stroke of halftime, equalizing immediately after the break to secure a 1-1 draw against Juventus in the first leg of the Champions League quarterfinals on Wednesday. 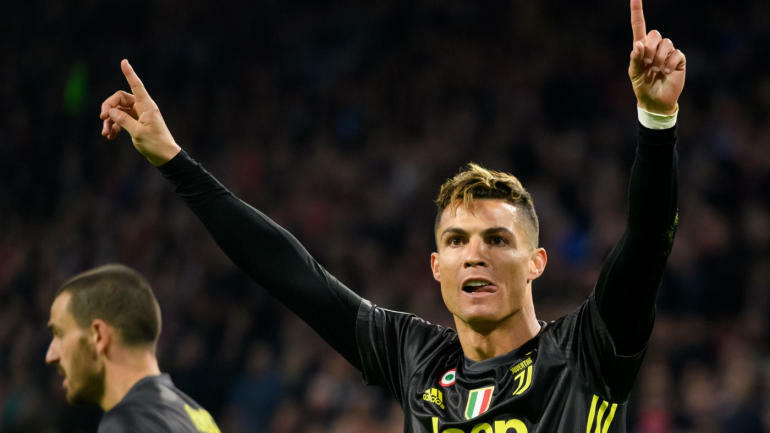 Cristiano Ronaldo scored the 125th Champions League goal of his career but it wasn't enough to give Juventus victory as an impressive Ajax pegged back the Italian champion in Amsterdam.